Uhlenbergs recently took delivery of a new Western Star 8X4 tractor unit. This purchase is the first Western Star into the predominantly Peterbilt and Kenworth (Pacaar) equipped fleet and also marks the first Cummins engine into UHL since 1985. The recent cold weather experienced in New Zealand, brought snow falls to much of the country, causing road closures and disruptions for road users in many areas. Our home base and surrounding areas were coated with the heaviest snow falls experienced in decades, with two periods of snow falling within weeks of one another. 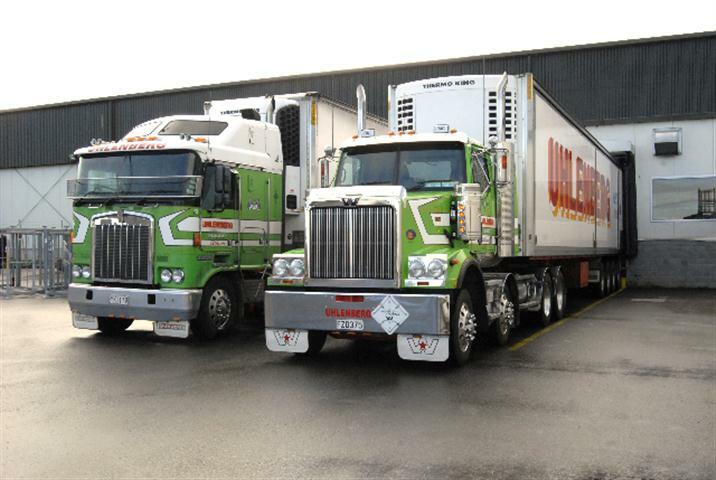 Uhlenberg Haulage Ltd recently launched their new website. The website was built using the popular Content Management System called Drupal. "The site has our basic information in it, and we plan to build more content over time.